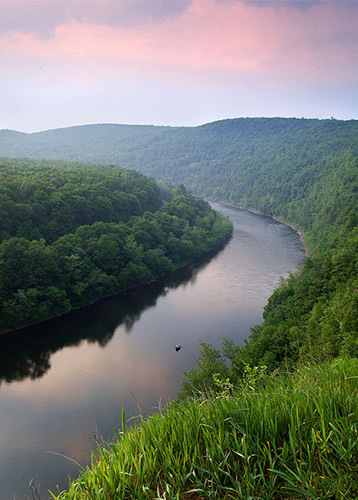 On May 11, the Federal Energy Regulatory Committee (FERC) released a notice of their intent to prepare an environmental assessment (EA) for the Millennium Pipeline Company’s proposed Eastern System Upgrade—a project that includes two new compressors and 7.8 miles of new pipeline in the Upper Delaware River watershed. This is your opportunity to tell FERC your specific comments and concerns about Millennium’s proposed expansion, and why it would be detrimental to the environment, communities and our region. Comments are due on or before June 10, 2016. FERC needs to hear about all potential environmental and community impacts. FERC must extend the comment period by 90 days because it has failed to release all of the information necessary for full review. FERC will not be releasing key documents requested by the Delaware Riverkeeper Network necessary for expert review and comment on this project until after the comment period closes or just days before it closes. As a member and supporter of DRN who will be represented by their comments I urge FERC to extend the comment period by 90 days in order to allow for release, review and comment upon this critical information. Millennium is clearly planning for a more significant expansion of its pipeline – a full Environmental Impact Statement that includes all potential expansions of the Millennium Pipeline is necessary. Millennium continues to add to their pipeline in back to back expansion projects that are obviously part of a larger vision. The current proposed addition of two new compressors and other facilities comes on the heels of both the Minisink and Hancock compressor stations additions in 2013 and 2014. Even Millennium representatives have hinted at possible future expansions. This perpetual segmentation is a violation of the National Environmental Policy Act. FERC must ensure full consideration of all past, present, and reasonably foreseeable connected, contemporaneous, closely related, and interdependent projects that are, or will be, before FERC for consideration. In addition to the obvious future expansion of the Millennium pipeline as a whole, FERC must include, in their environmental report of the Eastern System Upgrade, a thorough examination of the following interconnected and related projects: Millennium’s Valley Lateral Project; Linden Energy Services proposed connecting pipeline; Algonquin’s Access Northeast Project; Algonquin’s Atlantic Bridge Project; Algonquin’s Incremental Market project (AIM); CPV Valley’s Energy Center, currently under construction in Slate Hill, NY, as well as any others that are missing from this list or not yet known to the public. Air quality impacts and the resulting impactions for public safety must be more fully reviewed and given high priority consideration. Emissions from compressor stations have a demonstrated effect on the health of surrounding populations. These impacts include chronic respiratory issues, cardiovascular issues and heart attacks, neurological issues, cancer, and reproductive and development toxicity, among others. The community is advancing health impact analysis relevant to the proposed expansion. That analysis must be fully completed and analyzed by FERC prior to any decisionmaking on this project. The impacts to wetlands, waterways, endangered species and forest ecosystems are significant and require more thorough assessment and consideration. The company’s assertion that the project and cumulative impacts will be “temporary and minor” is not compatible with recent and reliable science or observed impacts from similar work. Millennium’s Eastern System Upgrade Project would disturb significant areas of land and result in extensive harms to existing geology, soils, and sediments; water resources and wetlands; vegetation and wildlife; land use; noise quality and air quality. These impacts are unacceptably high. Be sure to include your own thoughts and concerns regarding the proposed expansion of the Millennium pipeline, the incentive it provides for more drilling and fracking, and the need or us to be investing in clean and renewable energy infrastructure and strategies rather than more dirty fossil fuel pipelines. We encourage you to review the information available in Millennium’s latest resource reports (available on FERC docket here and here, as well as all of the information available on our on-going issues page here. You can file brief, text-only comments electronically using the eComment feature on www.ferc.gov, under the link to Documents and Filings. You can file longer comments or attach comments in other formats electronically by using the eFiling feature on www.ferc.gov, under the link to Documents and Filings. New eFiling users must first create an account by clicking on “eRegister.” Select “Comment on a Filing” as the filing type. For assistance with electronic filing, call (202) 502-8258 or email efiling@ferc.gov. Action Alert – FERC Needs to Hear From You!